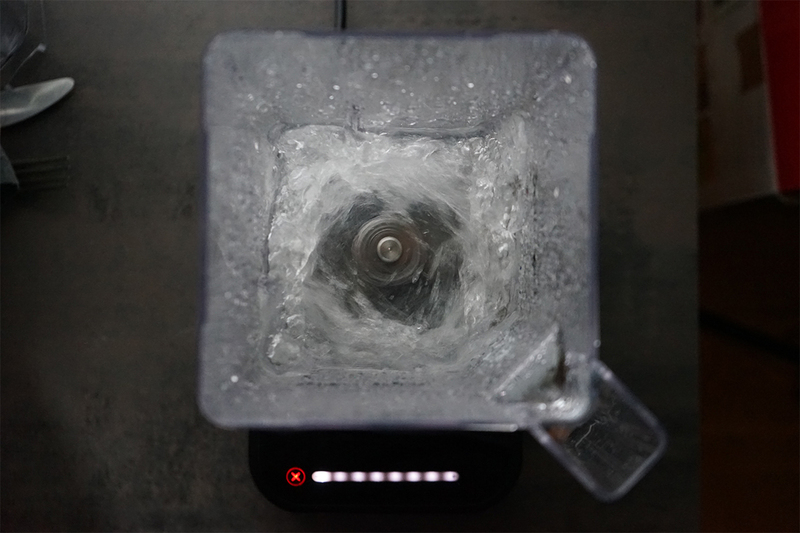 The Blendtec blenders' motor turns clockwise, but why? Blendtec is one of the very few manufacturers with clockwise turning motors. The Blendtec blenders' motor turns clockwise and the Blendtec blender base comes with a drive socket attached to the motor axle permanently. And the Blendtec blender jars have permanently installed blades that cannot be removed, taken out without breaking the jar and/or the blade bearing assembly, and the blades are not sharp either. A Blendtec motor’s awesome power would be wasted on a wimpy blade. To handle the immense power, the blade needs to be bigger, thicker, and more robust than other blender blades. One of the reasons Blendtec blades can pulverize just about anything is that their patented vertical wingtips and precision angles transfer more power than other blades. Plus, the distinct single-blade design allows your ingredients to fall easily in front of and behind the blade, rather than pushing ingredients away from the blending vortex. Blendtec jars come equipped with ultrahard stainless steel blades that are cold-forged and tuned for heavy use. These blades resist corrosion much better than lesser blades. Your ingredients do not get torn apart (like with other blenders who have different blades) but with the Blendtec blunt blades, all the nutritions stay in its place. Now physics come into play, we do not have to understand how it works, but it does and that is awesome!